Popular instant messenger, Whatsapp is set to make some strategic modifications to the mobile application to improve its usage. For some time now, there has been reportedly been calls and petitions to Whatsapp management pertaining the missed call notification on it’s mobile app when the phone did not actually ring and also voice lags or voice break during Whatsapp call which is probably caused by poor internet connectivity. Additional, due to the network connectivity in Nigeria, one can’t the internet connection status or stability as it is been recommend that 3G, 4G or Wifi internet connection should be used during especially both voice and video calling. Though, as at the time of writing this post, Whatsapp hasn’t yet imposed these modification, but trust the required test running on these new features, meanwhile let’s have a glimpse of Whatsapp latest update pertaining these glitches. Few days ago, Whatsapp announced that users will be able to share the location with friends and family in real time. If you’ve used the sharing feature before, you know we could already share locations before, except it was static. With this one though, you’ll be able to share it in real time, almost like a Google Map of chat. This is how it will work — open a chat with the person or group you want to share with. Go to Location, from the attach button. The attach options will have “Share Live Location”. When you select it, you can even choose for how long you intend to share location with the other person. Then hit send. If more than one person shares their Live Location in the group, all locations will be visible on the same map. Note that this is an end to those times you lie to your friends that you’re in a particular location when you’re somewhere else. It won’t end well when they request you share your location. As already stated, Whatsapp is currently testing an ‘unsend’ feature which will help users to get rid of messages sent either by a mistake or deliberately. With the Delete for Everyone’ feature, those messages you send angrily or when not in good state of mind can be deleted from your Whatsapp Chat Window using ‘unsend’ button. According to WABetaInfo, experimenting with the new feature on Android and iOS devices. The feature is said to be functioning successful thus far. ‘Recall’ or ‘unsend’ message feature have been in many social apps like WeChat and Viber. Note: Chats can only be deleted withing 5 minutes after it’s sent and if it hasn’t been read by the recipient. In Zimbabwe, it’s now a crime to create a Whatsapp group without registering with the government. 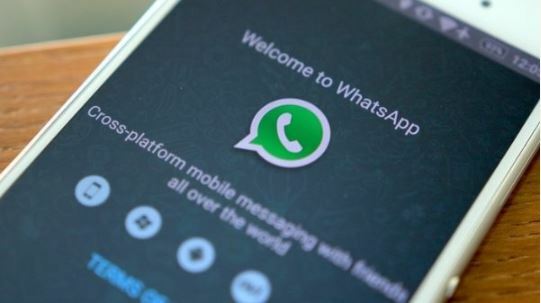 Zimbabwe has now made it illegal to create a Whatsapp group without registration and approval from its ministry of cyber security. The ministry released a statement to that effect with the rules to take effect starting November 1, 2017.